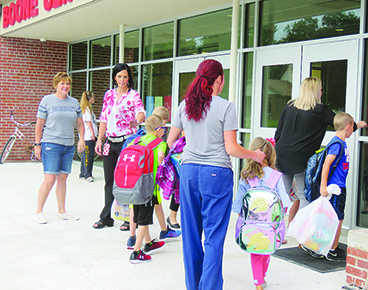 Superintendent Nicole Hardwick and other staff greet incoming elementary students and their parents on the first day back at Boone Central Public Schools on Tuesday, Aug. 14. Boone Central students and staff headed back to school on Tuesday, Aug. 14. New staff members of Boone Central Public School, Newman Grove Public School and Riverside Public School are introduced in this week’s Albion News. 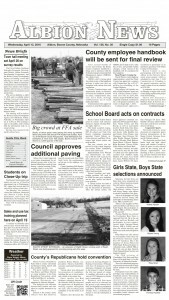 New Boone Central staff can be found on page 8, Riverside staff on page 3, and Newman Grove staff on page 13.